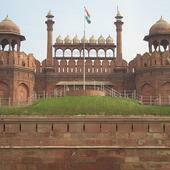 Delhi is the National Capital Territory of India. Delhi houses some of the premier institutions in India like the Indian Institute of Technology, the Netaji Subhas Institute of Technology, the Delhi Technological University, the All India Institute of Medical Sciences, University of Delhi, Jawaharlal Nehru University, the National Institute of Fashion Technology, AJK, Mass Communication Research Centre under Jamia Millia Islamia University, indian statistical institute and the Indian Institute of Mass Communication. Delhi has nine major universities: Indian Agricultural Research Institute,Pusa,New Delhi (Premier institute for agricultural research and education in India); University of Delhi, Jamia Millia Islamia, Delhi Technological University, Jawaharlal Nehru University, Ambedkar University Delhi, Guru Gobind Singh Indraprastha University, National Law University, Indira Gandhi National Open University (World's largest national university), Jamia Hamdard, indian statistical institute. Delhi has some of the top engineering colleges in the country — IIT Delhi, NIT Delhi, Indraprastha Institute of Information Technology, NSIT and Delhi Technological University (formerly DCE). All India Institute of Medical Sciences (AIIMS) is one of the best medical research and treatment centre in India. Some of the recognised institutions for studying MBA in Delhi are - Institute of Management Technology (IMT), GHAZIABAD; International Institute of Business Studies, NOIDA; Bharati Vidyapeeth University Institute of Management and Research (BVIMR), New Delhi; Bharatiya Vidya Bhavans Usha & Lakshmi Mittal Institute of Management.